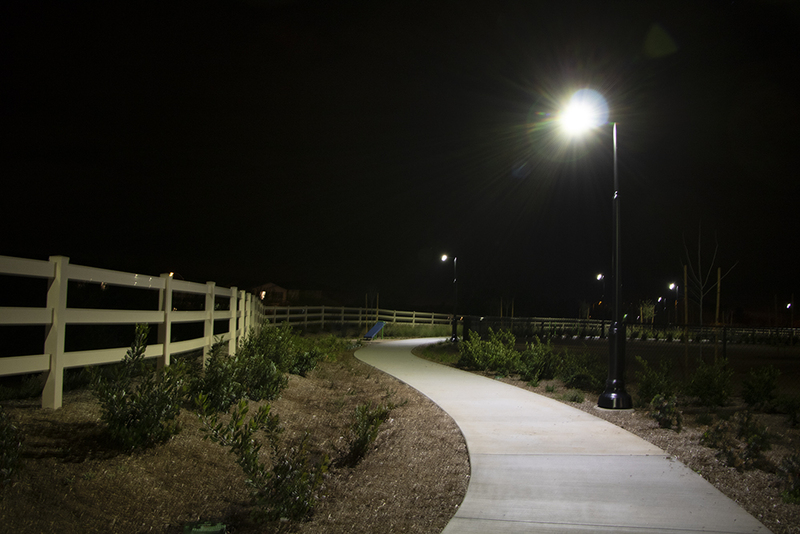 "Simply the Best Solar Lights Available Today"
A new community near Murrieta, California recently opened phase 1 of a new neighborhood park. The seven acre park included two areas for dogs, a gazebo picnic shelter and a parking lot. 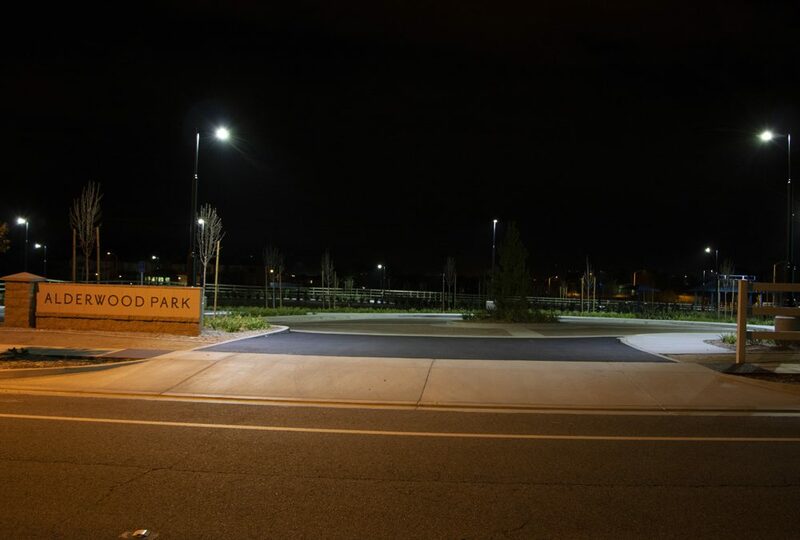 To increase the usability of the park and to enhance safety after dark, the park needed a lighting solution. While there was some electrical connection to the site of the park, the wide area that needed lighting in the park meant a lot of trenching to connect to electrical wires would be needed. 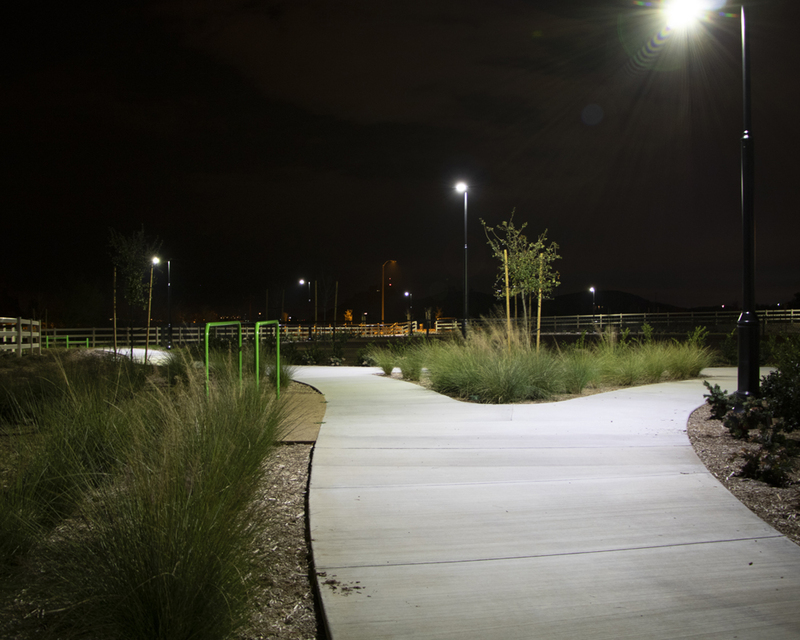 The developer of the site chose 26 of First Light’s SCL2 series luminaires to provide light for the park. The reasons included a much easier install and no requirement for trenching for wires. The SCL2 is also able to provide a high level of light over a wide area and have a variety of lighting profiles, including motion sensor options, that can be configured with our iOS app. – James Love, – LEED AP BD+C, CEO, Beaumont Electric.